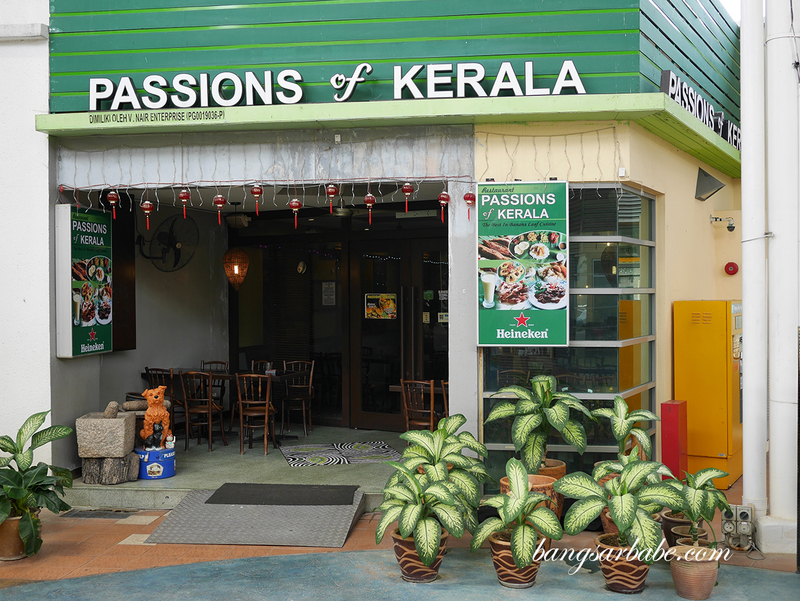 Passions of Kerala in New World Park Penang is a little gem that serves South Indian cuisine. 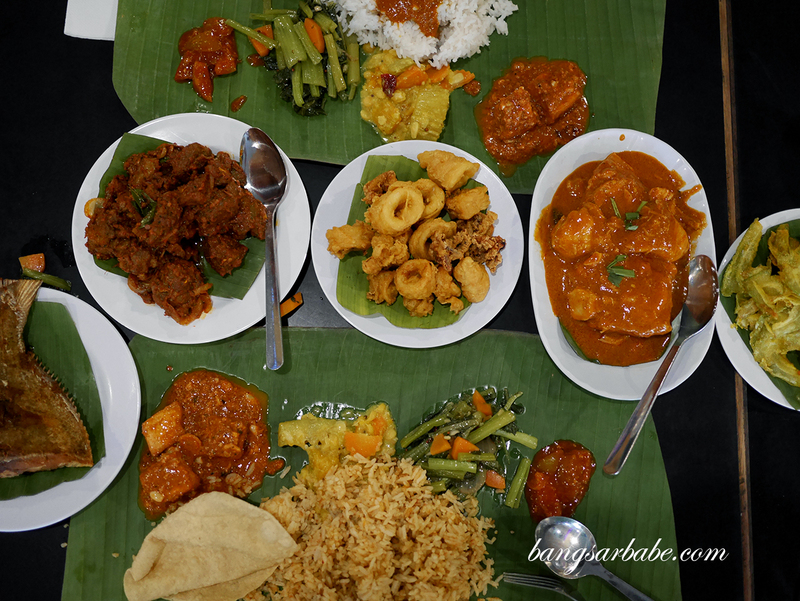 I was introduced to this by one of my readers, Rowen, and I’m glad I got to squeeze in time to indulge in a banana leaf rice meal during my short trip up north. 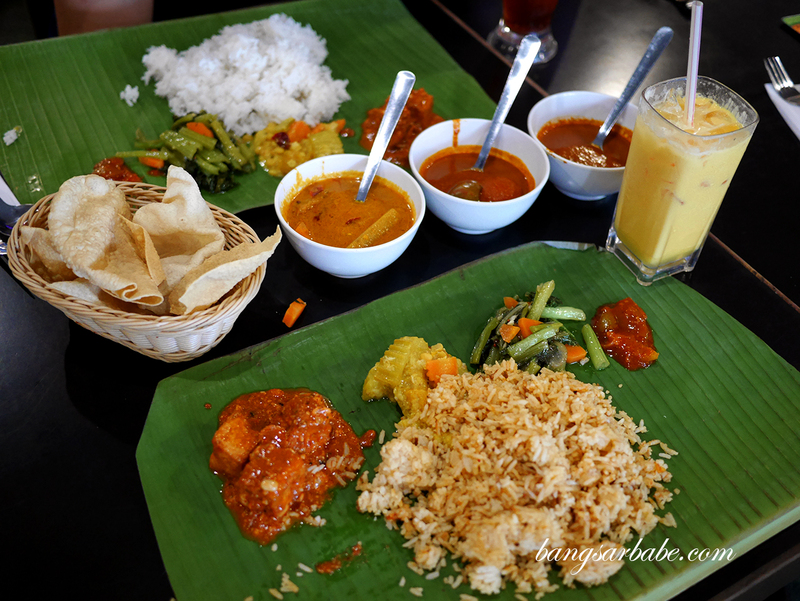 A standard banana leaf rice meal at Passions of Kerala comes with four types of vegetables and three curries (dhal, chicken and fish). 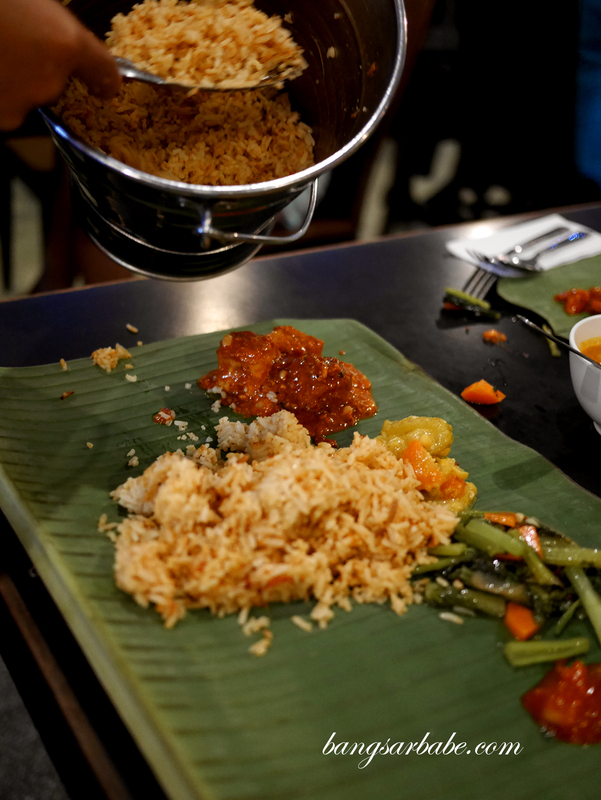 I like how the curries are thick and robustly flavoured, so there’s plenty of kick in each mouthful of rice. The fish curry is my personal favourite and if you’re concerned about the spiciness, add a bit of dhal of balance things out – heat and flavour-wise. 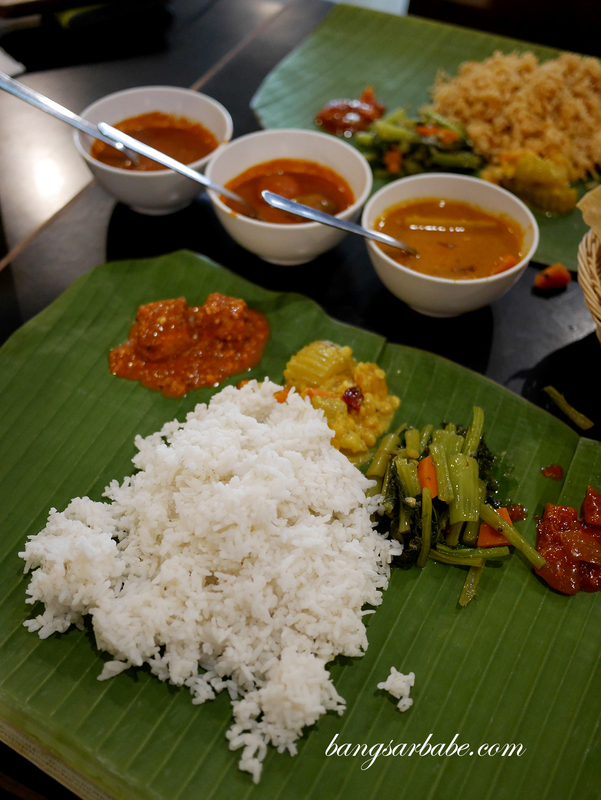 You get a choice of white rice or tomato rice for in your banana leaf rice meal (RM7), though the latter choice of rice will cost an additional RM1. Personally, I prefer eating white rice as you get to taste the curries better. I got greedy and went overboard with my order; chicken masala, mutton varuval, fried fish (pomfret), deep fried squid and fried bittergourd. 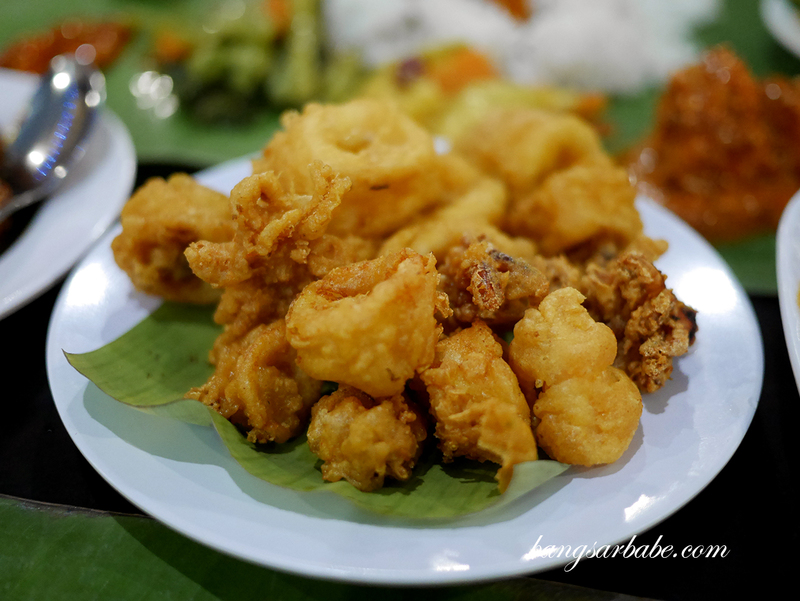 Of the lot, the fried fish (RM6.80) was particularly delicious. 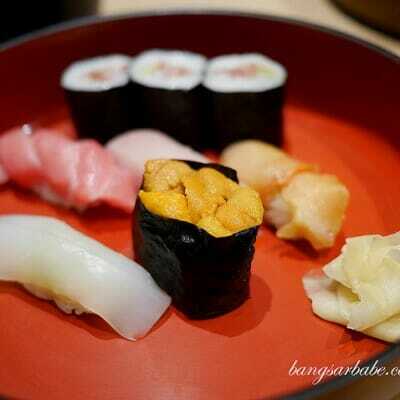 It was just lightly marinated so the natural flavour and freshness of the fish stood out. Many places tend to over-fry the fish so it ends up being hard and dry, but the folks at Passions of Kerala does it just right so the fish was moist. 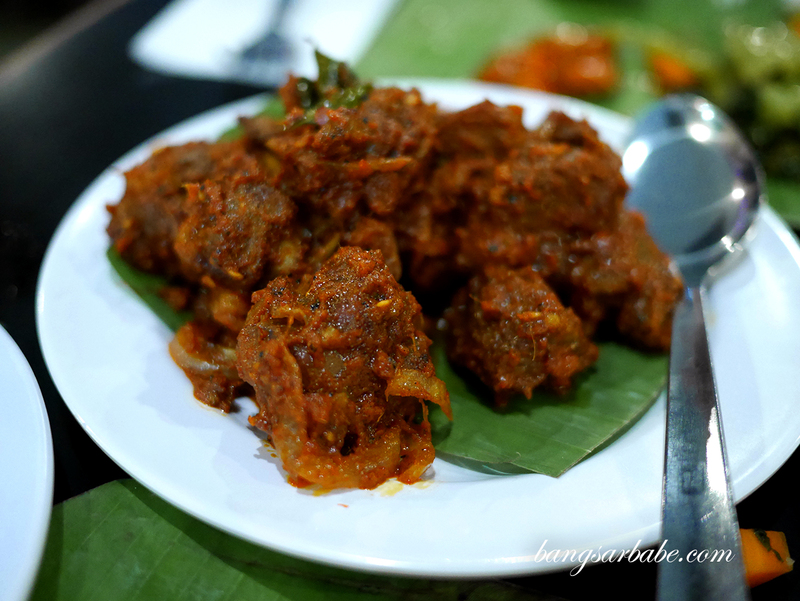 Mutton varuval (RM15 – small) seems to be a favourite here as well – there was a good balance of spiciness in this, so you get to still taste the mutton, which was quite tender. 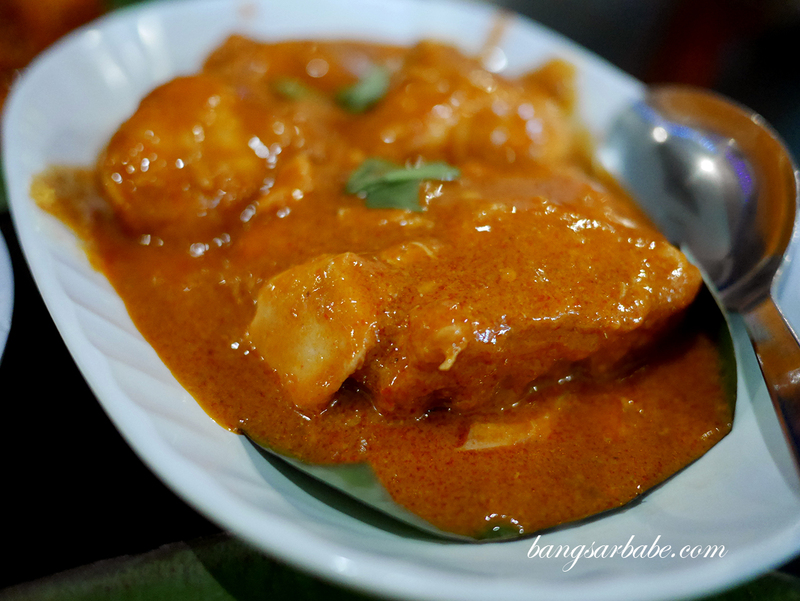 I thought the chicken masala (RM7 – small) could have done with more spices. On its own, it was tasty enough but once you throw in mutton varuval into the equation, it doesn’t stand out as much. I didn’t care much for the fried bittergourd (RM4) though it was good enough to go with the rice and curries. 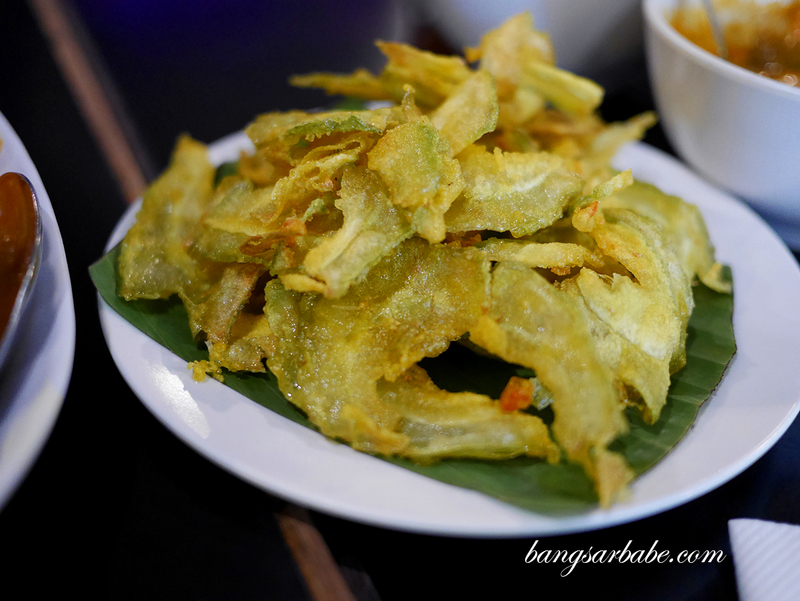 Both rif and I love eating deep fried squid (RM12 – small) so that’s usually our must-order at any banana leaf rice establishment. 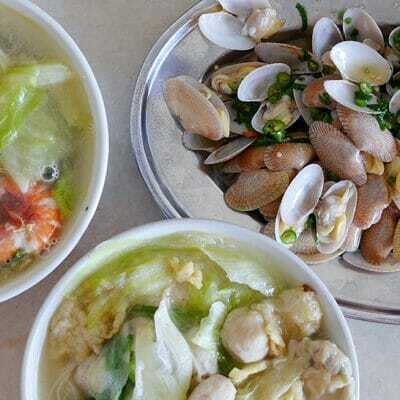 The one at Passions of Kerala is more straightforward – minus the heavy marinade, so you taste the squid for what it is. 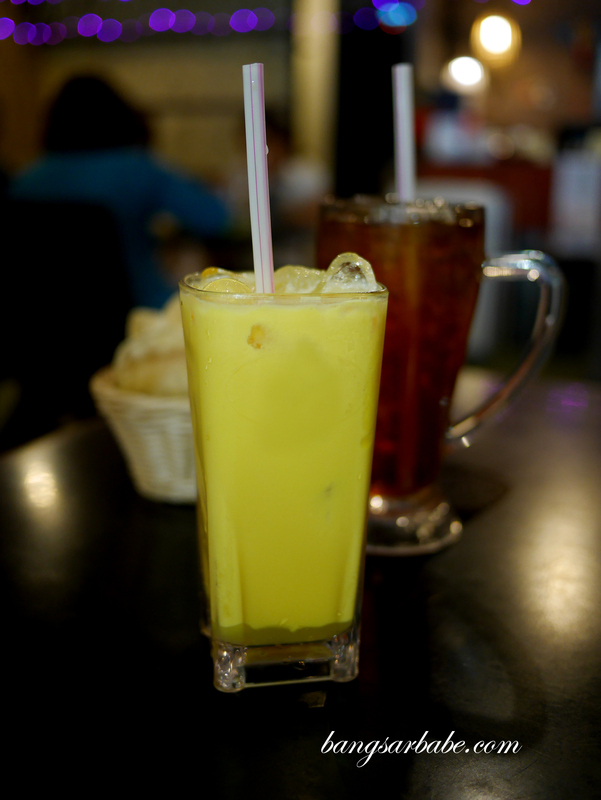 To cool down from the heat, try their Mango Lassi (RM6) which isn’t overly sweet. Though it could have been thicker. Verdict: I like the curries here. 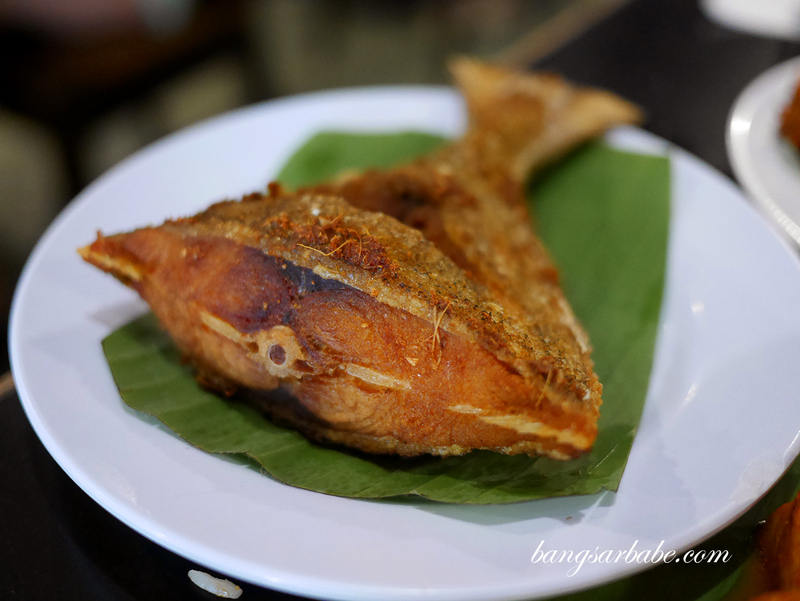 Order the fried pomfret while you’re at it.